A little blast from last spring! Check out the gorgeous pictures of our lovely couple all taken by Amber Gress Photography. 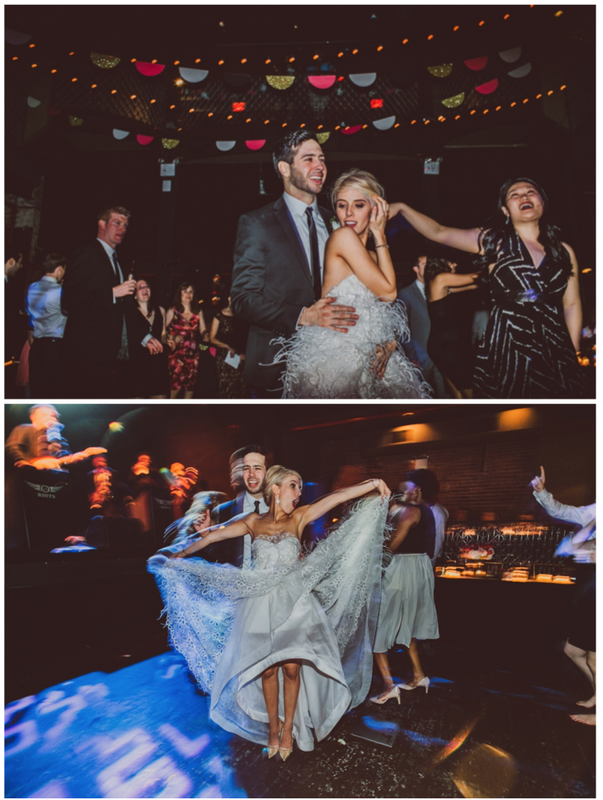 What a wild, rock and roll, colorful and joy filled wedding! 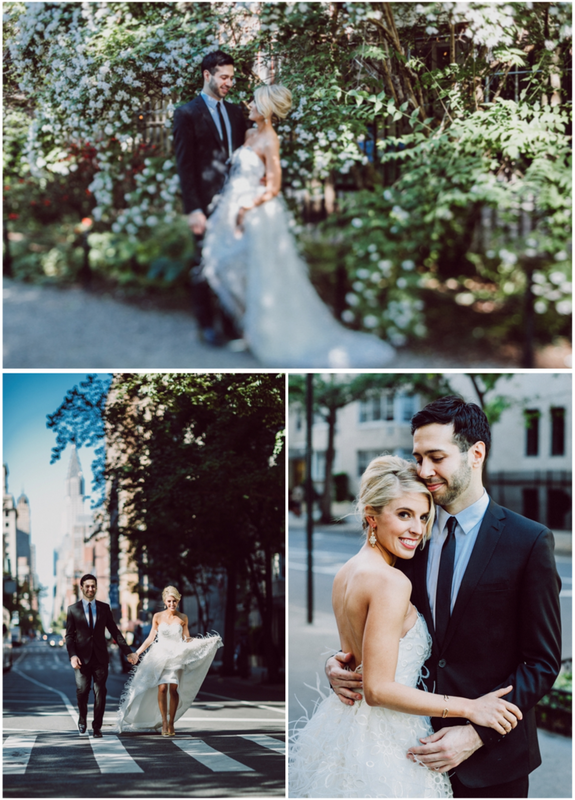 The happy couple got ready at the Gramercy Park Hotel, took some gorgeous pics on the Williamsburg Waterfront, and celebrated their awesome and color filled wedding at the Williamsburg Hall of Music in Brooklyn. For their wedding we created fun and colorful flower arrangements and bouquets, and also created the table runners! Tracy and Brian were super crafty with their other decorations, even making the tassels and pennants! 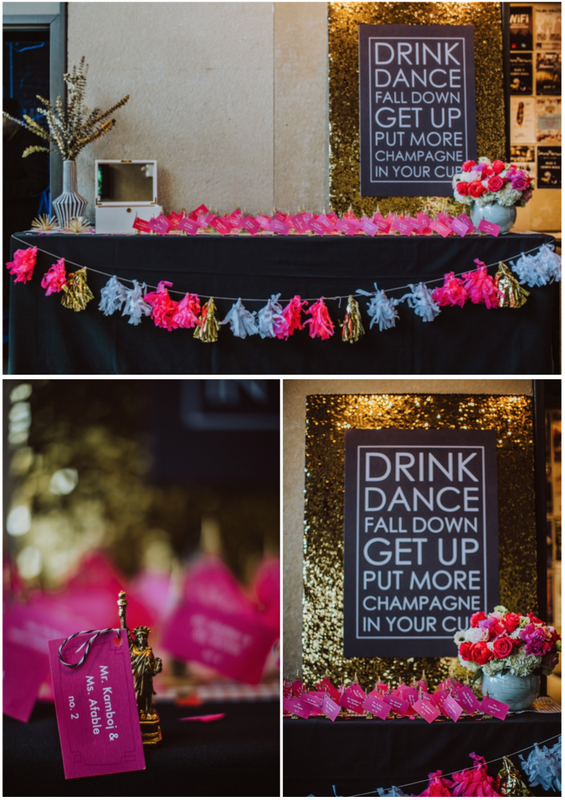 It all came together in a spectacular fashion, and looked like one heck of a party!